Welcome to the Capitol Visitor Center Groups Page! On this page, you will find a variety of options for your group’s visit to the U.S. Capitol. 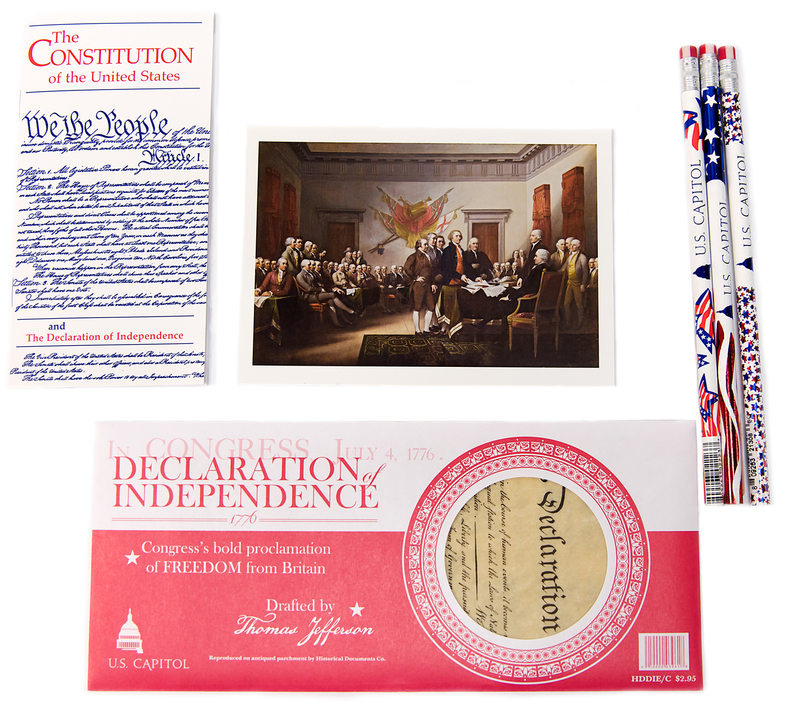 In addition to our Capitol Tour, we have education programs, Capitol Cafe lunch vouchers, and souvenir bundles from our gift shops. We hope that these offerings will help enhance your group’s visit, and we look forward to seeing you at the Capitol Visitor Center! For information on how to reserve a Capitol Tour, click here. For information about our education program, VOTE!, click here. For information about our Capitol Cafe lunch voucher options, click here. For information about our Gift Shop Souvenir Pack options, click here. Let your students experience what it’s like to be a member of Congress. VOTE! is available by reservation and subject to availability. Sign up for the program today! Two options are based on legislation actually considered and voted on in Congress. You’ll learn the real outcome at the end of the program. When making your reservation, you will choose one of the options below. A growing city needs a new water source. The easiest and cheapest source is a river on federal land in a national park. Should the city be allowed to dam the river and use the water for its citizens? Or, should the valley remain protected for the use and enjoyment of all Americans? How would you vote? A wealthy English chemist and mineralogist dies suddenly without an heir to inherit his fortune. He left his estate to the United States of America to further education. His wishes are vague, only that the funds must go to the “establishment of an institution for the increase and diffusion of knowledge.” Uncertain at first, Congress ultimately decided to accept this money. But, the question remains: “How should the United States spend these funds?” How would you vote? The VOTE! program meets the National Council for the Social Studies’ curriculum standards and adds another educational element to your students’ visit to the Capitol. VOTE! is recommended for students in 7th grade and above. More details about the program, curriculum connections and arrival procedures will be emailed after booking. VOTE! is recommended for groups of 45 or fewer participants. For additional information about the VOTE! program, or to inquire about making a reservation, please email groups@visitthecapitol.gov or call (202)593-1768. For information about our other educational programs and resources, click here. The Capitol Cafe offers a wide range of meal choices for visitors and is located right in the Capitol Visitor Center. Please order vouchers a minimum of 48 hours in advance to allow the cafe to accommodate your request. Unconfirmed orders are subject to delay due to previously received purchases. You can reserve a voucher here. For additional information or assistance email groups@visitthecapitol.gov or call (202)593-1768. The Cafe will provide a confirmation email once your order has been received. Payment will be processed the day of your visit. We accept cash, company checks and any major credit card. Vouchers will be distributed once payment has been received. Pay for and pick up vouchers at the Capitol Cafe during regular business hours, Monday through Saturday, 8:30 a.m. to 4 p.m. In the event of a cancellation, you will not be charged for your order. 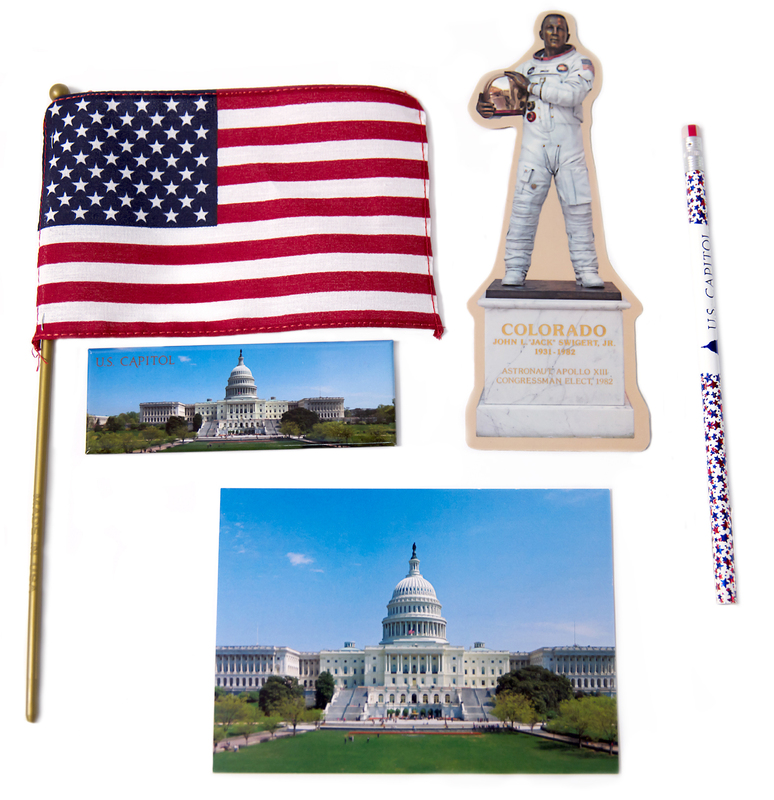 The Gift Shops feature a selection of products made exclusively in the U.S.A. Our merchandise is inspired by the Capitol's art and architectural treasures and includes fun and educational gifts, books, jewelry and exciting custom-designed products unavailable anywhere else. Pre-ordered bundle packs allow groups to have souvenirs for all students without visiting the Gift Shops. Bundle packs will be ready for pick-up at the North Gift Shop at the time specified on the form. All bundle packs come in a clear bag. *The Capitol Visitor Center reserves the right to substitute items of similar value based on availability. Payment is due at time of pick-up. Only cash or credit accepted. Please no purchase orders. All products Made in the USA. 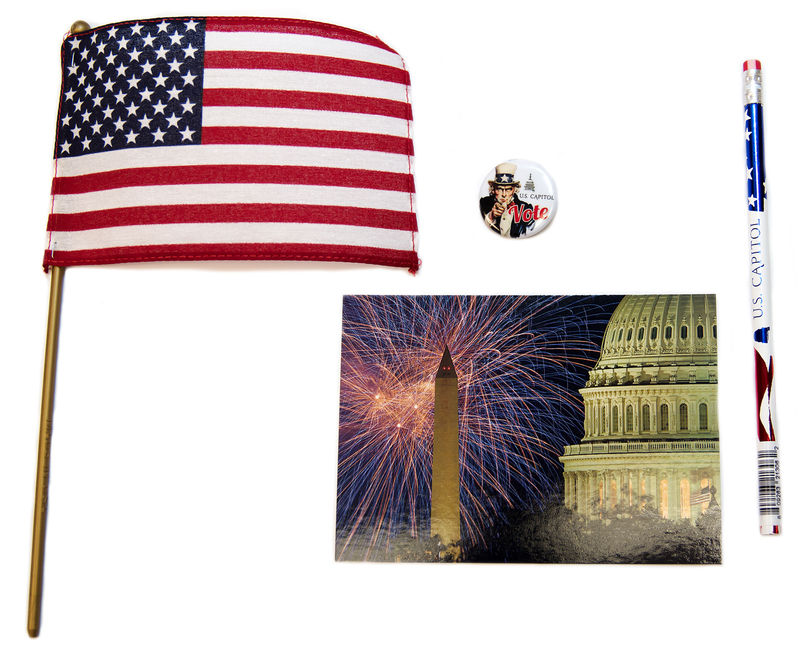 To reserve souvenir bundles or for additional information, email groups@visitthecapitol.gov or call (202)593-1768.